A prevailing tenet of medical science has held that our genetics are entirely predetermined, with little we can do to change what nature has decided for us. Students of medicine and many laypeople alike may indeed accept this as fact. However, a new book from Kenneth R. Pelletier, PhD, MD, presents a very different picture. Change Your Genes, Change Your Life picks apart our current understanding of genetics, and it’s available now. Our current healthcare model is based on that of war: isolate, target, and destroy. 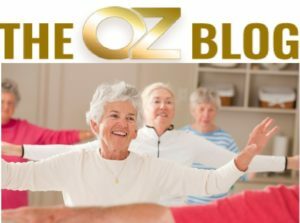 This model leads to a disease-based approach to medicine, with the objective of identifying and “fighting” damage in the body, instead of healing damage or better yet, restoring balance and enhancing health and longevity. Our language is transparent about this healthcare model: We speak in terms of the “war on cancer” and the “war on pain.” Given the statistics of skyrocketing rates of cancer, pain, and other chronic health conditions, despite decades of waging this so-called war, we are clearly losing the battles and need a radically different approach to medicine. Enter Change Your Genes, Change Your Life, the latest book by Kenneth R. Pelletier, Ph.D., MD, one of the pioneers of integrative medicine. In language written for a general audience, Pelletier gives a brief history of the scientific understanding of genetics, which is focused on the unalterable human genome, and the burgeoning field of epigenetics, which is focused on the chemical tags that park themselves on top of the genome and control the activity of our genes. Surrounding every gene, Pelletier elaborates, is a complex set of switches that determine what property of that gene will or will not be expressed. These switches interact with and are directly affected by our daily choices. The implication is that while certain diseases may run in our families, we only have a genetic predisposition, not a genetic predetermination, to inherit those diseases. If we eat nutrient-dense foods, practice meditation, work in a psychosocially and physically positive environment, stay physically active, and otherwise engage in healthy habits, we both switch off the expression of disease genes and switch on the expression of healthy genes. Pelletier offers two helpful analogies: that of a light switch and that of theater. “Much like our genetic code, the light switch on your wall and the light bulbs and their fixtures that are connected by wires to this switch are a stable presence – they are the infrastructure that always remains in place,” Pelletier writes. “But you are the determining factor in this simple equation. You must decide whether or not you want the light to shine, or whether this light should be turned up or down in intensity.” In other words, the electrical hardware is the unalterable genome, and the electrical activity – stimulated by our turning the light switch on or off – is the malleable epigenome. Or, in the analogy of theater, the scripts of Shakespeare’s plays have remained exactly the same over the course of generations, whereas the theatrical productions of those scripts have been diverse – depending on a director’s interpretation of and choices regarding that script. In this example, the fixed script is analogous to the genome’s expression, and the diverse production is analogous to the epigenome’s expression – in the latter case, with each of us as the play directors, making a unique set of choices about what to do with what we are given. Ultimately, Pelletier’s book is one of hope and empowerment, with the core message that our health, and therefore our destiny, is squarely in our hands. To this end, the book offers a new vision of medicine, where patients receive not a one-size-fits-all treatment, but rather, individually customized lifestyle plans that are based on genetic testing with precise feedback about what we need to do, and need to avoid doing, to optimize our wellness and longevity.